Portfolio of Geoffrey Maddock, a programmer, web developer, designer and promoter and dj living in Pittsburgh, PA. I'm a programmer, web designer, music promoter and dj living in Pittsburgh, PA. In my free time I've worked on a number of different projects, including running a web-based music shop, promoting electronic music events, and working on original art and graphic design for both print and the web. I'm really into learning new things, spitballing ideas and letting my imagination run wild. and social computing since I ran a Renegade BBS in highschool. I've been in the internet-centric tech industry for over 15 years. I'm interested in many topics, and try to find the time to learn new things. I was born and raised in Pittsburgh, and love my city. Bachelor of Science in Computer Science; Math Minor. Web Application Developer for the Systems department at this national ISP and Datacenter. 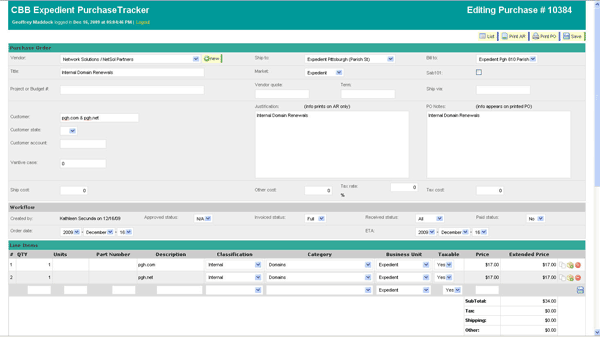 Designed a number of mission critical applications for the company including an asset tracking system, purchase tracking system, sales quote application, delivery implementaion tools, customer support CMS, incident reporting and reports for all teams across the company. Rigourous use of tools such as Git for version control, Putty SSH, Sublime Text, VI, Bash, Linux and Windows OS. Maintained and wrote new reports on the Crystal Reports platform. Started as telephone tech support, for ISP including dialup, ISDN, DSL, T1, webhosting, email, VPN, and networking. Was a shift leader for 2 years, helping with new hire training and escalated issues. Moved to Network Operations in 2001, handling escalated customer issues, advanced troubleshooting and vendor interation. 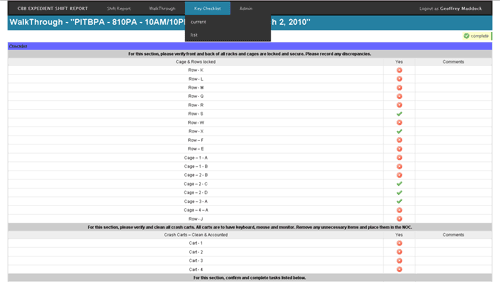 Designed a CRM for Customer Management, which lead me to being hired as a web developer. Web-based mail order and in person sale of experimental electronic music. Designed website from the ground up, including front end design, shopping cart, inventory management and other admin tools. 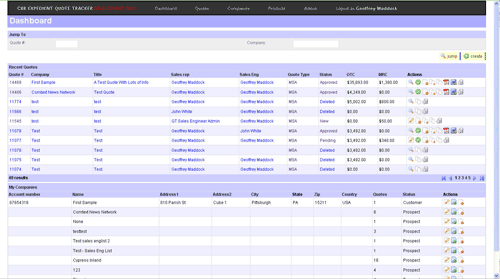 Handle buying from international labels and distros, filling orders and accounting. Design promotional flyers, as well as organize and promote related events. Help Desk assistant at this UPMC and University of Pittsburgh computer lab. Assisted patrons with office software, graphics, scanners, printers and general questions on Mac and Windows platforms. 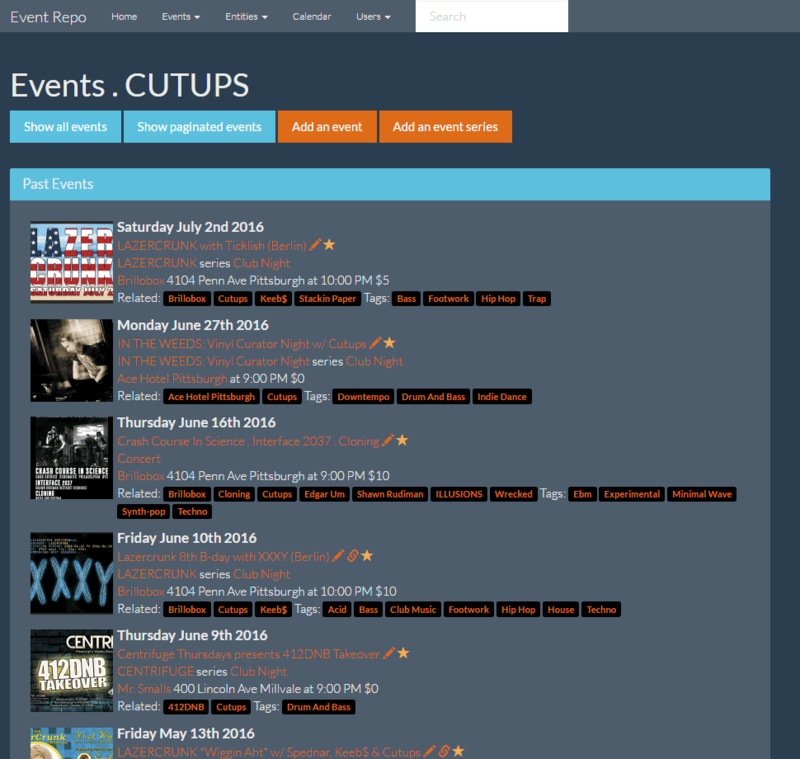 Organized and promoted music events. Booked talent, sound, lighting and venues. Involved with all aspects of promotion and day-off footwork. Designed website, promotional posters and flyers for the events. Highly proficient with PHP, Java, C++, Perl. Strong foundation of underlying programming concepts, OOP, design patterns and best practices. Highly proficient with Adobe Photoshop and Illustrator. Experienced in freehand and digital graphic design, from prototyping, editing, revising and preparing to print. I have written mission critical web-applications for Expedient, a multi-city network and datacenter provider, including Asset Tracker, Purchase Tracker, Quote Tracker, and Sales and Commissions Tracking as well as tools for NOC Shift Reports, Outage Reporting and Systems Monitoring. For my own business, Wrecked-Distro.com, I wrote a full featured shop site with a frontend that handles everything from user account creation to music previews, and shopping card checkout, and a backend that helps me manage my inventory, order fullfillment and financial reporting. Most of my best code is in private repos. But I'll happily provide samples by request. Visit my GitHub profile to see the contributions I've been making. I regularly create graphic designs for events, for both web and print. My primary tool is Adobe Photoshop CS5. I've been a promoter of live electronic and experimental music since 2008. Here are some of the regularly branded events I have done over the years. Here are a few of my other projects that have a web presence. These are things I've built as a side business or hobby.